A 16-year-old Bangladeshi student named Fatima Sheikh has been confirmed by Indian filmmaker Amjad Khan to portray the role of Pakistani schoolgirl and activist Malala Yousufzai in his forthcoming film ‘Gul Makai’. Fatima Sheikh is from Dhaka and will play Pakistan’s teenage activist Malala Yousufzai who was shot in neck by a Taliban gunman last October and was carried to UK for life-saving surgery. 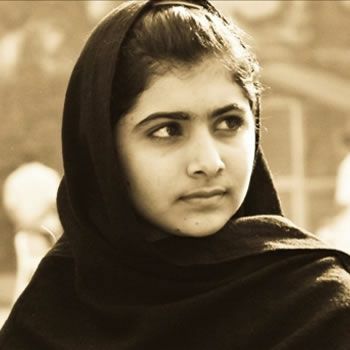 Bollywood director Amjad Khan had been inspired by Malala’s efforts for the girls right in Swat Valley, Pakistan and he was busy to shortlist a child actor to act as Malala Yousufzai. Fatima Sheikh’s identity is not disclosed yet for security reasons and the shoot will begin in the middle of July. “She is a student too. She looks like Malala. But there are security issues. Filming will take place in London , Pakistan, Iran and India,” said film director Amjad Khan in a newspaper.